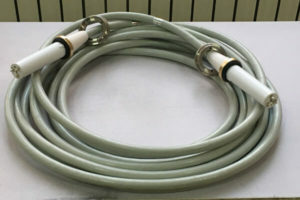 Home › Blog › High Voltage Cable for 125 kV X-ray tube. Newheek has 75 kV and 90 kV high voltage cables, which can connect 125 kV and 150 kV balls. 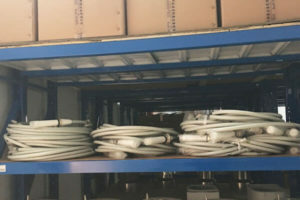 75 kV high-voltage cable can be used for 125 kV x-ray tube, 90 kV high-voltage cable is mainly used for 150 kV x-ray tube, can also be used for 125 kV x-ray tube, the specific mode of use, according to customer needs. Our high-voltage cable head is now mainly straight-headed, standard is straight-headed high-voltage cable, if customers have special needs, we can also make elbows. For the length of high voltage cable, our standard length is 3m, 6m, 10m, etc. It can also be customized according to customer’s requirements.